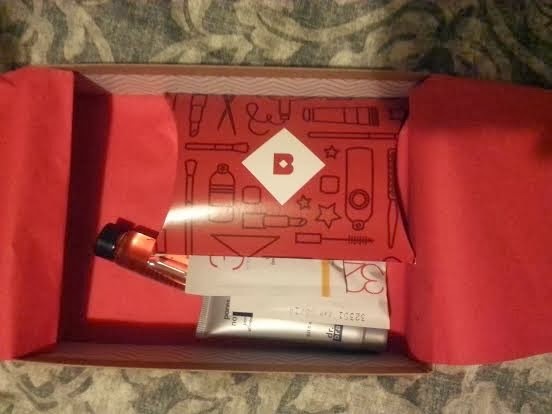 Hey everyone, my Birchbox was first to arrive as usual this month! This month's theme is Step And Repeat! Deluxe Size (0.25 fl oz)-$5.00 Value! This was my favorite item in the box! 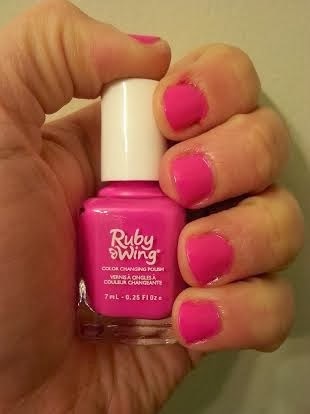 I was super excited to get this because I've never tried Ruby Wing or a color changing nail polish before. 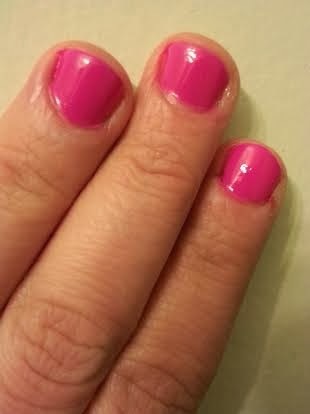 The polish is formulated with SolarActive Technology, causing the color to transition when exposed to UV rays outdoors. The concept is so cool and kind of reminds me of mood rings! I love that they used a glass bottle instead of plastic-it makes this sample so much more luxurious! And it smells wonderful-I can't wait to try it out! 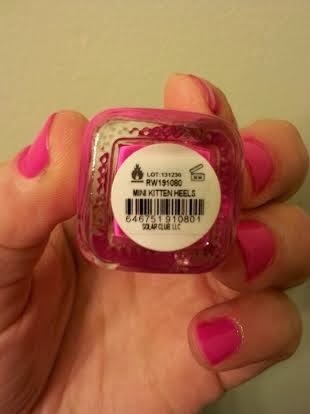 However, this sample didn't include any measurements on the bottle, so I inquired the information from Birchbox. I have yet to receive a response, so the size and value of this sample remains unknown for the time being. As soon as I find out I'll update the information. Sample Size (0.05 fl oz)-$1.44 Value! 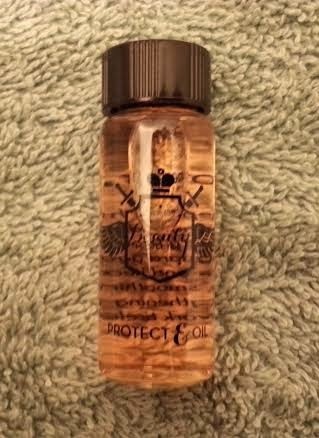 I am a huge Juicy Couture fanatic, so I was psyched to receive this sample! I saw it advertised in one of my magazines and have since wanted to try it! I really like it and may even prefer it to the original Couture La La!! Deluxe Size (0.25 fl oz)-$11.25 Value! 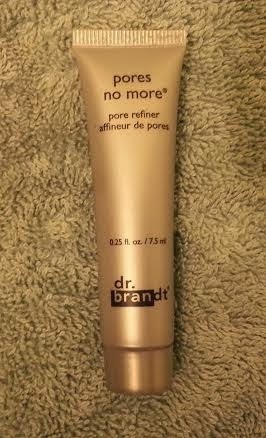 I don't really have an issue with large pores, but I'm down with a product that can keep skin matte. 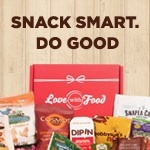 I also like the packaging and feel it's a decent sample size. However I'm disappointed because according to the Cosmetics Cop this product contains skin cell–damaging lavender oil! 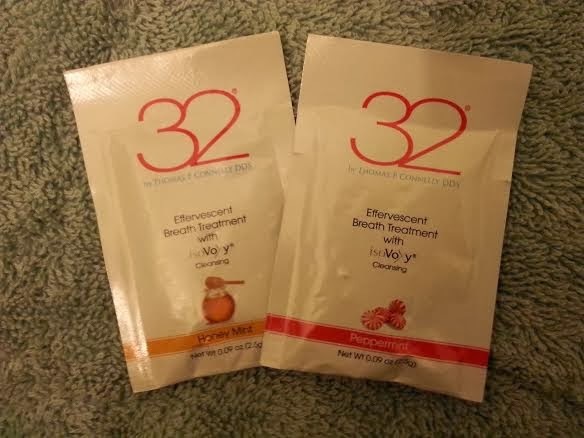 Sample Size (2 Packets)-$1.33 Value! 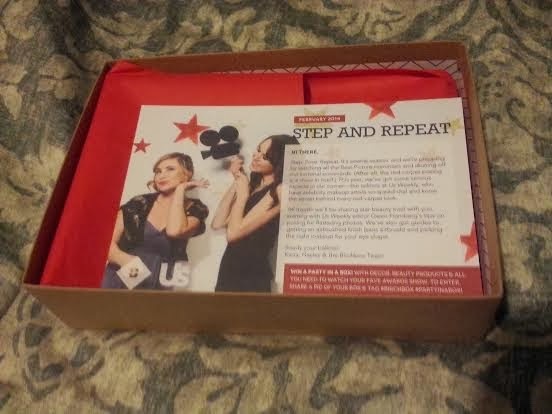 I'm intrigued with this lifestyle extra since I've never used a product like this before. It's an interesting alternative to Chocolate or Tea and it's nice that they included two different flavors! Overall, I thought this was a pretty good box. I'll get use out of 4 of the 5 items and most of them are brands I've never tried before.